XCOM 2 is about desperation. It's about feeling trapped, run-down and haggard, but choosing to fight anyway. 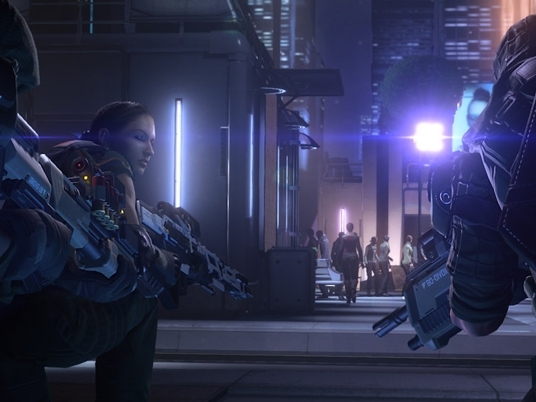 Death has always been an underlying theme in the XCOM series. Caught in a war against devastating alien invaders, these strategy gems keep the pressure on by coaxing you to name your troops after your loved ones before placing them in harm's way. It's an unusual tactic to extort a connection between you and otherwise unknown digital characters, but it's also ruthlessly effective. This melodrama is a form of emotional chicanery, but it's still real. In my war to liberate Earth from these monsters, I couldn't help but think of where my friends were before all this started, of the lives they were defending when they chose to grab their guns. But is also gave weight to every loss. It pushed me to avoid risks that would put them in danger, and I found myself agonizing, sometimes for hours, over minor battlefield decisions. And that's where XCOM 2 started to show its genius. XCOM: Enemy Unknown, the 2012 reboot of the 20 year-old strategy franchise, let me sink into comfortable patterns and safe tactics. As a line of dauntless guardians standing against an invasion, time was on your side. XCOM 2 flips that, presuming that you lost the war of the previous game. Now, you're at the helm of a small guerilla force. Sabotage and supply raids are your tools, not the massive battles with reverse-engineered technology that characterized the first one. The importance of this change can't be overstated, because it reframes the entire concept. No longer are you one unified, globe-spanning force fighting for survival. Instead you're small, mobile -- organizing out of a single flying aircraft carrier. Almost every mission comes with a timer until your target escapes or the aliens destroy some computer with essential data. You and your soldiers carry the strain of always being ready for a strike, and always being on call. As the game wore on, XCOM 2 numbed me. It exhausts, and the drama it steals from your real-world life and relationships bears noxious fruit as you're forced to take more and more risks, or face humanity's annihilation. Omnipresent desperation and the feeling that time's always slipping away from you work their way into play as well. Enemy Unknown had you both directing the actions of individual soldiers during missions, and planning the world's macroscopic defense. On top of picking the shots of marksman, you'd build new lines of fighter jets, psychic operatives, and collect resources from the world's governments. XCOM 2 leaves most of that intact, but replaces your stationary bases with a literal flying fortress. From here you'll launch your missions, recruit new soldiers, and put out the fires that dot the planet. While this works well in broad strokes, you'll often have six or more events, missions, or supply drops demanding your attention. Your choices here change what resources you'll have available for the smaller missions and what sorts of weapons and armor you can kit your warriors with. While this frenetic approach to managing your general strategy fits with the underlying motif of tension and desperation, it also shreds pacing. Lengthy, critical missions frequently book-end one another, leaving your injured and traumatized friends little time to recover. New research and weapons construction can sometimes take days or weeks. This leaves your top soldiers wounded after a bout, forcing you to bring out your poorly equipped and trained B-team into the next firefight. Taxing as it may be, struggles like these only add to XCOM's appeal. You shouldn't feel safe, you shouldn't feel comfortable. People should die. It helps set the series apart from the legions of space marine games that clog up the release calendar. War isn't pretty. War is torture. It is lamentable. It is the last recourse for a desperate people. And even then, it never comes without cost. It would be easy to pass XCOM and its sequel as just another pair of games about space marines doggedly fighting off some alien force against incalculable odds. But that characterization shorts the real sense of loss I feel every time I "lose" a friend. 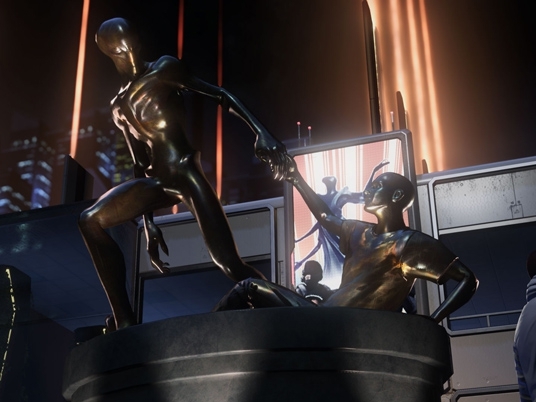 XCOM 2 shines not by packing its cutscenes and dialogue with the same manufactured tragedy we've seen a thousand times before, but by letting you feel some miniscule fraction of the stress that so often comes with violence.